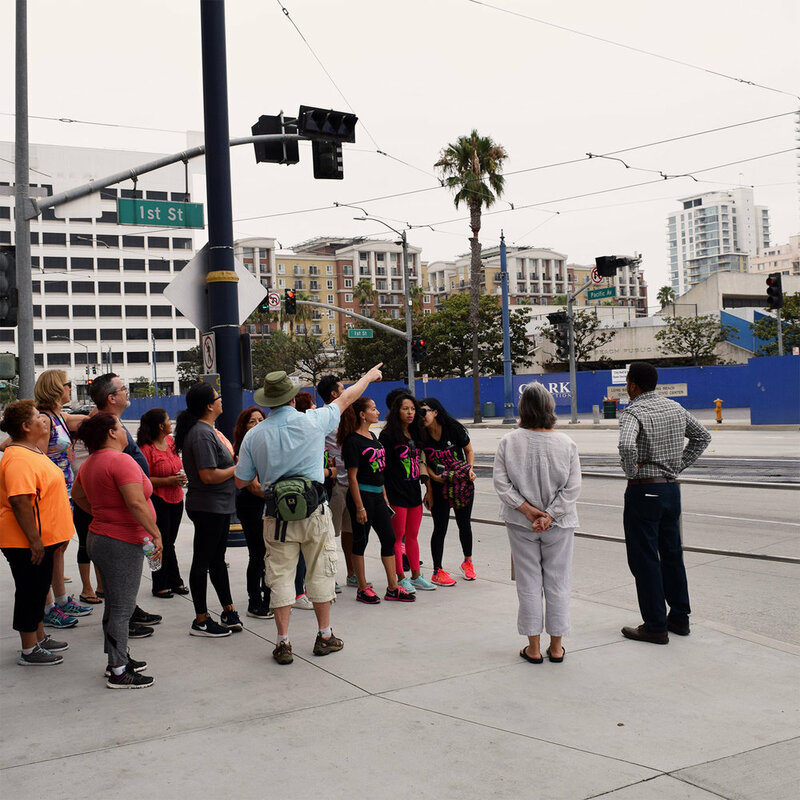 Formed as a collaboration between the YMCA of Greater Long Beach, Long Beach’ Department of Health and Human Services, City Fabrick and a number of other community organizations, Walk Long Beach is dedicated to promoting and advocating for walking in the city. 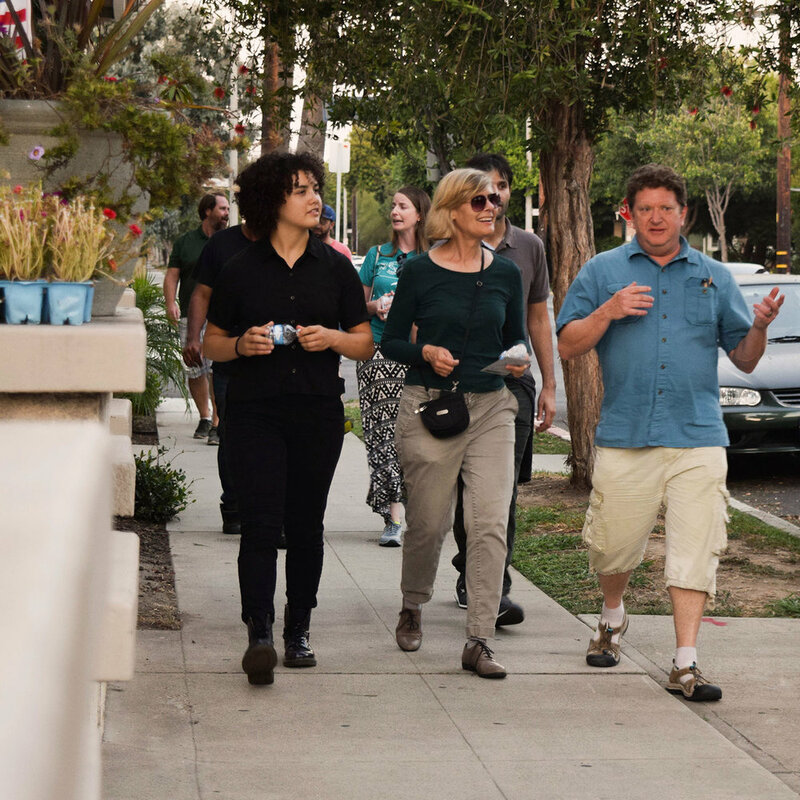 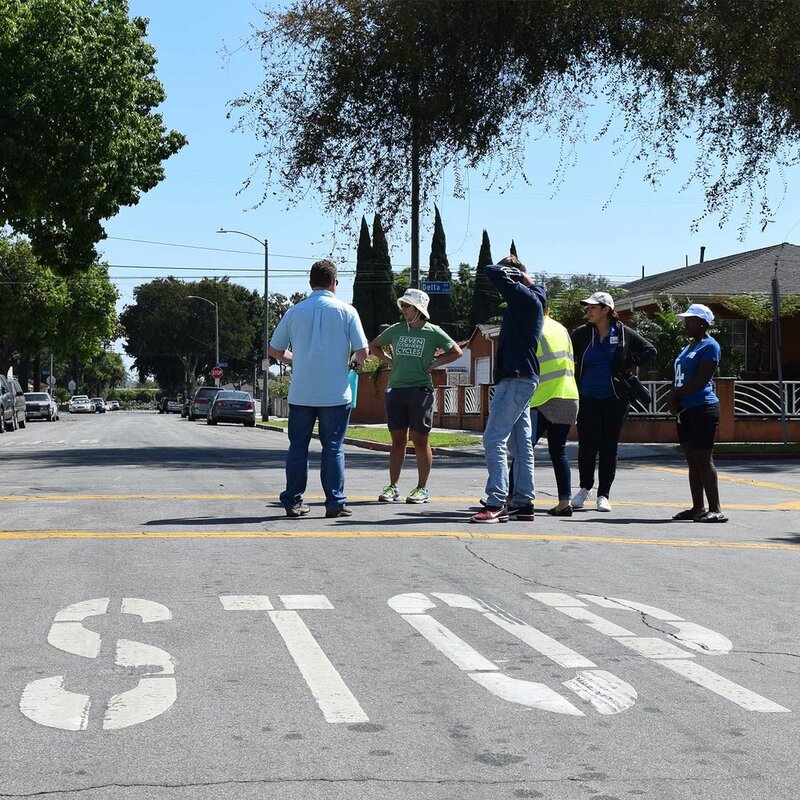 As part of Walk Long Beach, City Fabrick facilitated dozens of walking workshops in communities throughout the city to teach residents how to observe their neighborhood critically for walk ability, with the intention of building advocacy for walking. 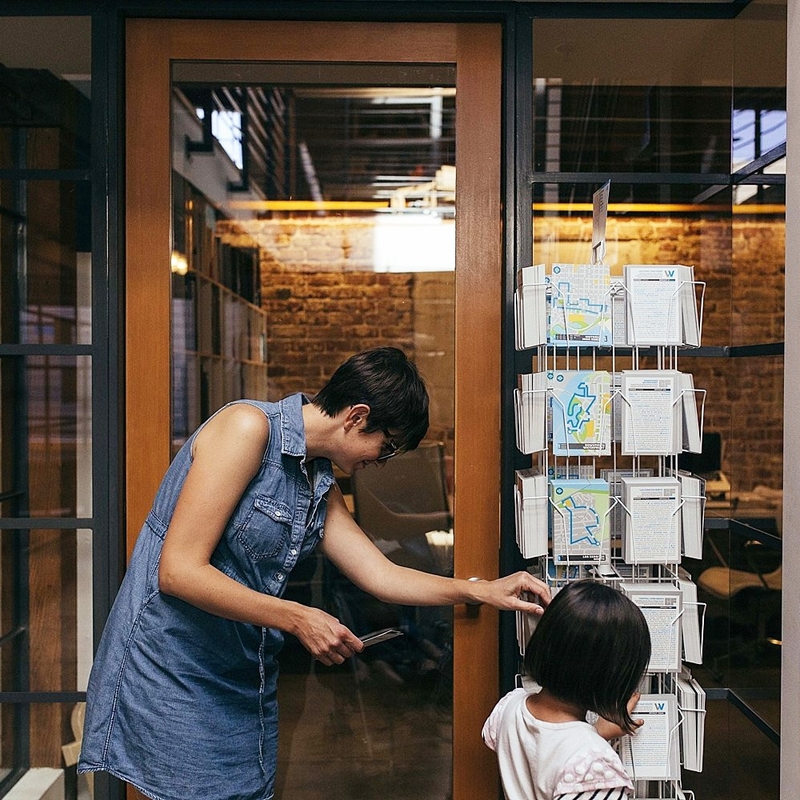 Through these workshops City Fabrick designed a series of “walking loops” that encourage walking through these neighborhoods, highlighting interesting sites as identified by participants of the workshops.